One hundred seat full service Italian restaurant located in a 1789 Georgian Colonial 18-room farmhouse on 12 acres in the scenic Monadnock Region of southern NH. 1/4 mile North on Rte 137 from jcts. 137 & 101, Dublin NH. Fine Italian cuisine featuring our own homemade pasta. married Franklin Pierce, the 14th president of the United States. Descendants of the family also established the Dublin Electric Company at the turn of 20th century. This house remained the Appleton Homestead until 1949. The DelRossis purchased it in 1987, removing the late 1800’s Victorian alterations, and restoring the old Georgian Colonial farmhouse charm. 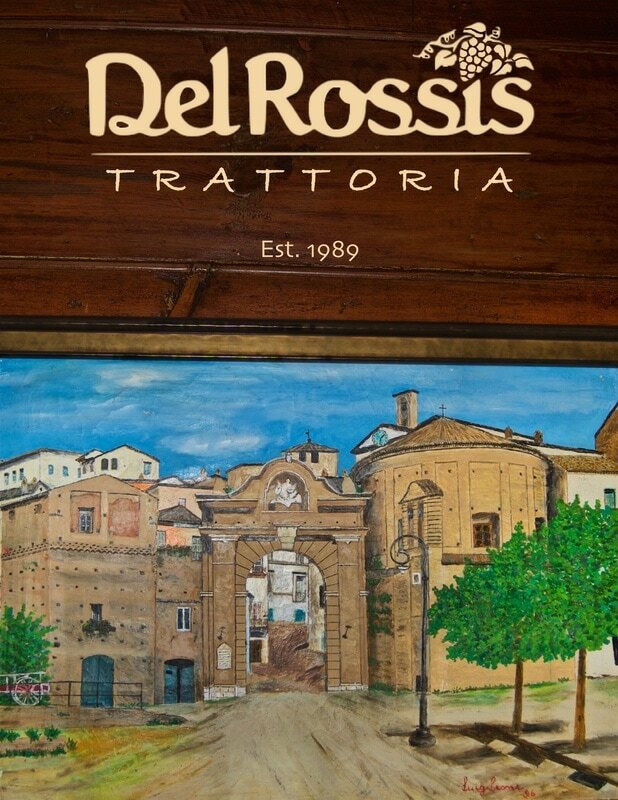 Doors were open in April, 1989…Buon Appetito..David & Elaina DelRossi, prop.